With 8 inches of new snow in the last 24 hours, and 3 feet in the last week, Keystone Resort will open North Peak on Saturday, Dec. 17. 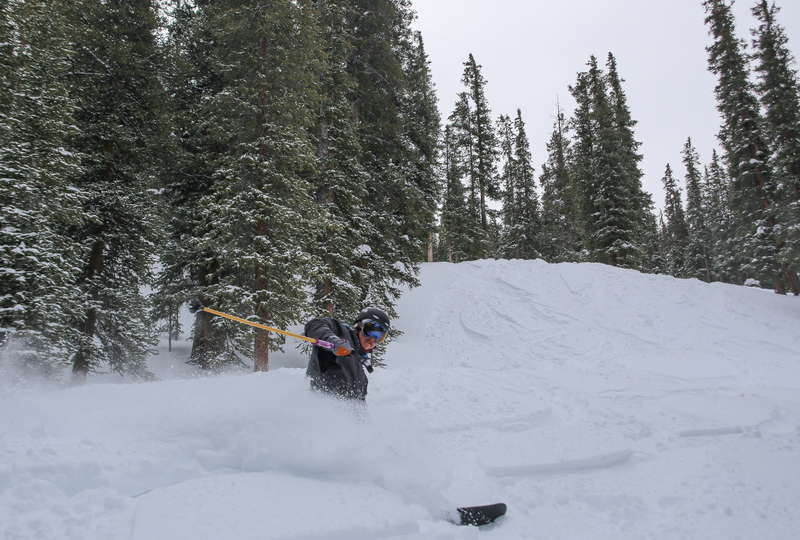 With the addition of North Peak, guests will have access to skiing and riding on all three peaks at Keystone – Dercum Mountain, North Peak and The Outback, and more than 1,000 acres of skiable terrain. Guests will be able to access terrain on North Peak and The Outback via the Outpost Gondola, Santiago Express Lift, Outback Express Lift and Wayback Lift. Guests can return to Dercum Mountain guests via the Outpost Gondola. With the opening of the North Peak, Labonte’s Smokehouse BBQ will also open on Saturday serving up house smoked meats and barbeque to hungry skiers and riders. In addition to skiing and riding this weekend, guests can look forward to the inaugural Kidtopia Mountaintop Spectacular event and the grand opening of the World’s Largest Snow Fort at the top of the River Run Gondola on Dercum Mountain. The Kidtopia Mountaintop Spectacular is here! Join us this weekend for all the family fun. Keystone presents the inaugural Kidtopia Mountaintop Spectacular, a weekend of festive on-mountain fun for the entire family. This free event will showcase a variety of activities and Kidtopia programs that make the resort a top destination for families, including nightly firework displays, a torchlight ski parade led by Keystone’s Ski & Ride School, and a mountaintop celebration where guests can enjoy free snow tubing, snowcat photo opportunities, live music, hot cocoa and fireside stories with Santa. Kidtopia, Keystone’s season-long free family programming, will animate the mountaintop with bigfoot adventure walks and a ski patrol-dog meet and greet, plus a special lighting ceremony of the world’s largest Snow Fort to create an unforgettable weekend. The World’s Largest Snow Fort returns to Keystone’s Dercum Mountain this December bigger and better than ever, offering families the ultimate snow playground at 11,640 feet above sea level, featuring a series of tunnels, slides and mazes within the walls. 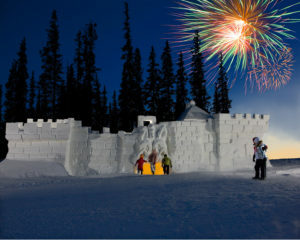 The mountaintop fort is a staple of Keystone’s Kidtopia offerings, providing free family entertainment for all. 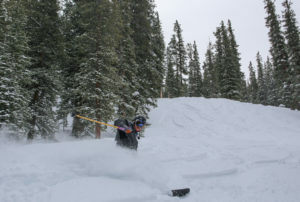 The Snow Fort is open daily during lift operating hours, and is free to guests with lift access. The Kidtopia Snow Fort is scheduled to open on Saturday, Dec. 17 and will remain open until the snow melts. Now is the time to book a winter adventure for the whole family, as lodging rates begin at just $113 per night with savings up to 30 percent. Keystone Resort offers a wide variety of comfortable and family-friendly lodging options, from affordable hotel rooms to welcoming, family-sized condominiums. Plus, an unmatched Kids Ski Free program, free daily events, and unique offerings and special events perfectly complement the more than 3,000 acres of skiing and snowboarding terrain. Skiers and snowboarders looking for the best prices on lift tickets can use their smartphone or computer to purchase tickets online in advance at www.snow.com/lifttickets. By purchasing lift tickets seven or more days in advance online, guests will receive the biggest savings – up to 25 percent – and the lowest price, guaranteed. Advance purchase tickets can be sent directly to a guest’s mailbox, allowing them to bypass the ticket window. Or guests can easily pick up their tickets at the resorts’ Epic Day Express windows. Once a guest has a hard card ticket, they can even load more days onto the card by purchasing additional days online. Guests can also save by booking ski school lessons online in advance at www.snow.com/skischool.